I’m a planner by nature. Seriously, I LOVE planning. I get a slightly ridiculous amount of joy out of planning trips, projects, etc. and then crossing things off in my to-do list. And while being a good planner can be a HUGE asset and some people could definitely use a bit more of it in their lives, overplanning tends to be a bit of a problem for me. First of all, overplanning is a pretty serious form of procrastination. I have some huge projects that I want to launch and to be honest, I’m pretty nervous about launching them and failing. So instead I just keep planning and planning, hoping I’ll eventually feel ready. Spoiler alert: I will never feel ready. In my personal life overplanning has been a hindrance because it has really kept me from living in the moment. 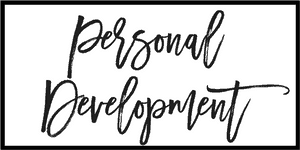 I tend to worry and overthink about what’s going to happen in the future, and it has had a serious impact on my happiness (read more on this in my post about embracing your current season of life). 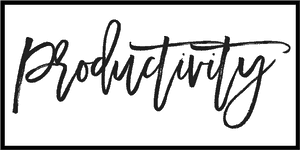 I finally got a bit of a wakeup call and realized how big of a problem my overplanning actually was, and I started working on it so that I could 1) start enjoying and living in the moment, and 2) start actually accomplishing things in my business. If any of this sounds like you, keep reading to learn how to stop overplanning, and how to start DOING instead! 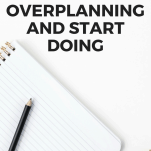 A big part of learning to stop overplanning is first realizing that you ARE overplanning. So when you sit down to work on your business (or whatever project it is you’re working on), take note of how that time is being spent. If you find that days, weeks, months, etc. are going by and you’re still in the planning phase, that’s a serious problem. Once you know WHERE you’re spending the majority of your time, you can start focusing on getting to where you want to and should be spending the majority of your time. 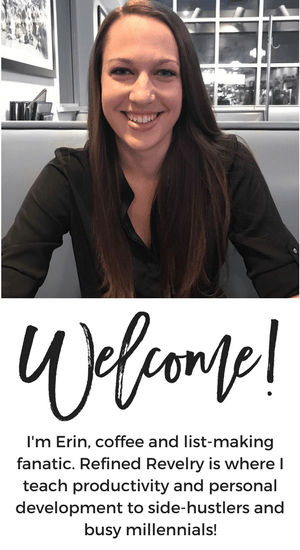 I love learning from other bloggers and when I first decided to start growing and monetizing my blog, I soaked up all the knowledge I could from those who were a few steps ahead of me. 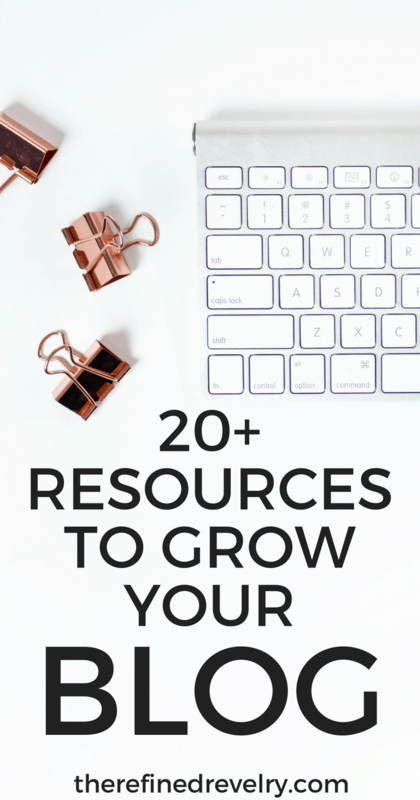 Using resources like other bloggers is a fantastic idea…to an extent. It definitely starts to become a problem when we fall down the rabbit hole of information. For instance, let’s say you decide you want to write an eBook (using this example because I’ve done this). So you start reading blog posts about how to publish an eBook. And then a month later you’re still soaking up ALL the knowledge you can about HOW to publish an eBook, and you never write the freaking book. Another problem with consuming TOO much content is that others’ voices start to drown out your own, and you may find yourself struggling to come up with creative and original ideas. At some point, we just need to stop consuming. 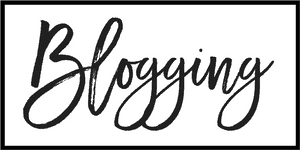 If you’re struggling to get out of the planning phase, stop reading other blogs. Stop reading books. Stop reading anyone’s else’s tips on how to do what you’re trying to do, and just roll with the knowledge you’ve already gained. You learn a lot from the research and planning phase, but you also learn a ton from the trial and error of finally just doing it yourself. There have been a lot of projects in my business that I SAID I was going to do and then never did. Some of them I just never got around to touching in the first place, and others fell victim to overplanning and never made it past the planning stage. In my four years of blogging, I have written one eBook (though I had plans for quite a few more). So what’s the difference between the eBook I wrote and the ones that never got written? I was afraid I was going to overplan and procrastinate and never end up finishing the book. So I pulled out my calendar, picked an arbitrary date three months away, and decided that was the day I was going to launch my eBook (note – I hadn’t even started the thing at this point). Not only did I decide that was the day and mark it on my calendar. I also told my audience in an email that I was writing a book and that’s when it would be coming out. And as soon as people responded and told me they were excited about the book, I knew there was no way I could NOT write it. I’m not necessarily suggesting you need to announce your deadline to the world when you haven’t even started your project, but you can definitely see how setting a deadline for myself was the kick in the pants I needed to actually make it happen. THAT was the difference between the projects I didn’t finish and the one I did. Starting a big new project can be really freaking overwhelming. It’s no wonder we spend SO much time in the planning phase! 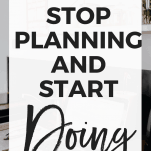 That’s why the FIRST thing you do for any new goal or project should be to break it down into bite size pieces that you can put right on your to-do list! When I’m doing this, I like to work backward. Let’s go back to my eBook example. I had figured out what date I wanted to launch my eBook. 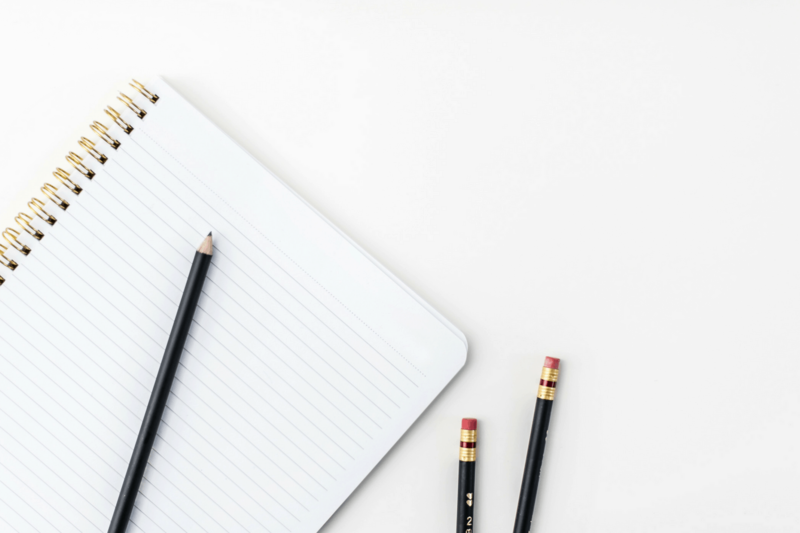 From there I worked backward and figured out when I should make the sales page, when I should send the book to someone to proofread, when I should write and schedule my launch emails. I worked ALL the way back to when I should write each and every chapter. Every task was small enough to put it on my to-do list as one small task. It’s different for everyone, but I know that one of the reasons I tend to overplan so much is because I’m worried about putting out anything that isn’t perfect. And while perfectionism CAN be an asset at times, it’s also a major form of procrastination. When I write something, I often find myself publishing it FAR later than I should have, or not publishing it at all, simply because I wasn’t convinced it was perfect. But I’ve found that if I don’t publish things until they’re perfect, I will literally never publish anything. Because perfect does NOT exist. And sometimes it’s okay to settle for A- work instead of A+ work in the interest of actually getting your work out there. 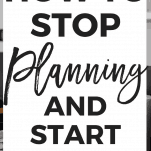 I’ll let you in on a little secret – I still find myself overplanning. Sure, I’ve found some ways to break that habit, but I definitely still fall back into it at times. While you might never break that habit for good, I promise these tips will help!